April is shaping up to be a great month for rock and brews events. In addition to Back to the Beach Festival, the month will actually kick off with the return of one of our favorite events of the year: the Sabroso Craft Beer, Taco, and Music Festival! 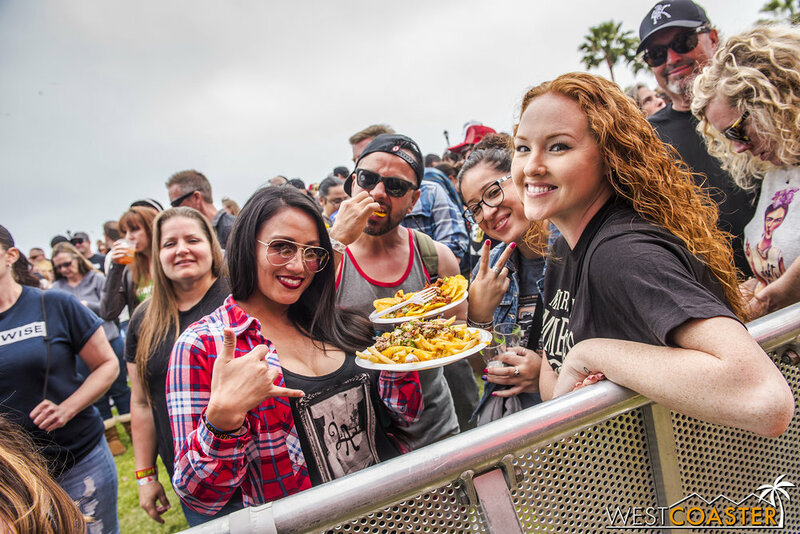 In its sixth year overall and third in its present site at Doheny State Beach, right next to Dana Point in South Orange County, Sabroso Fest has been one of the leaders in the multi-genre festivals that have been proliferating Southern California recently. We first went in 2017 and absolutely loved the food, beer, lucha libre wrestling, music, and enthusiastic crowds on hand. We had a great time last year as well. And clearly, we weren’t alone in our opinion, because enough people have enjoyed this great celebration the past couple of years that for 2019, Sabroso Festival is actually expanding to two days! The Sabroso Festival is back this year and better than ever! This year, the concert lineup is stronger than ever, with a motley crew of punk rock legends and mainstays scheduled to appear. The Offspring will be there again, of course, headlining Sunday evening with The Descendants, while Flogging Molly and Bad Religion top the Saturday marquee. Bands like Good Charlot and Black Flag will also rock the grounds, while the tacos, beer tastings, and wrestling all return. It’s all shaping up to be pretty awesome, and tickets go on sale tomorrow for this terrific event! Guest enjoy last year’s Sabroso Festival. Produced by premier music festival production company Synergy Global Entertainment, Inc. (SGE) and California's most successful and respected craft beer festival producer Brew Ha Ha Productions, Sabroso Craft Beer, Taco & Music Festival will feature performances from The Offspring, Flogging Molly, Bad Religion, Descendents, Good Charlotte, Black Flag, and more, with craft beer tastings (until 4:00 P.M.) from some of the best breweries in the country. 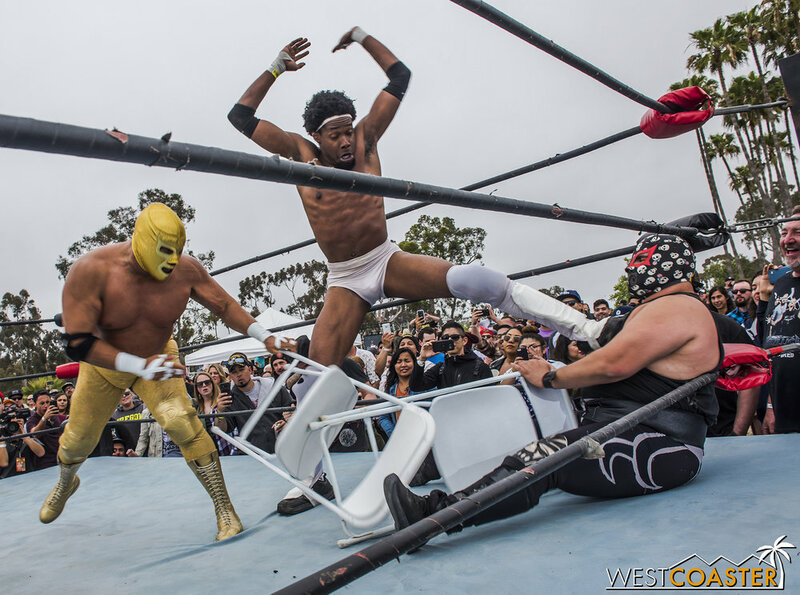 Delectable tacos from the region's top chefs and restaurants will be available for purchase, and attendees can enjoy Lucha Libre style wrestling, lawn games, contests, and more. There will be tacos, of course. The punk rock line-up is pretty damn strong this year. The Offspring will cap off the weekend again. Lucha libre wrestling returns too. Now with double the luchador action! Single Day and Weekend VIP Lounge tickets will also be available for purchase and include: One VIP admission ticket (Single Day or Weekend) to Sabroso Festival; a dedicated VIP entry lane into the venue; one hour early entry for up to 4 hours of craft beer tastings (Noon - 4:00 PM, 21+ only); and access to the Sabroso VIP Lounge, which includes: exclusive craft beer tastings (Noon - 4:00 PM, 21+ only), a view of the Main Stage, comfortable areas to sit and relax, a VIP bar, private restrooms, convenient food options available for purchase, and a dedicated merchandise stand for convenient shopping. At last year's sold out Sabroso Craft Beer, Taco & Music Festival powered by Gringo Bandito at Doheny State Beach in Dana Point, CA, 8,500 attendees gathered under the California sunshine for an afternoon of complimentary craft beer tasting with over 40 of the best breweries from Southern California and beyond, gourmet street tacos and more, and Lucha Libre style wrestlers competed throughout the day as the waves of the Pacific crashed behind their beachside ring. The festival has been a great hit the past couple of years at Doheny State Beach, providing a busy yet relaxed atmosphere. A portion of the proceeds from Sabroso will be donated to the Doheny State Beach Interpretive Association (DSBIA), the non-profit cooperating association of Doheny State Beach, dedicated to the protection of the park's beaches, facilities, marine refuge and its historical, cultural and social stories. Sabroso will also partner with Big Brother Big Sister, who are known for providing strong and enduring, one-to-one, professionally supported mentoring relationships for youth facing adversity. Get your tickets today, before it’s too late, and you have to duke it out for spares!